Collects the entire series (Vol.1 and 2). Available in the UK in June 2014. 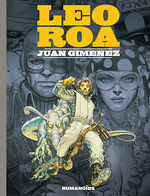 The futuristic, comedic escapades of journalist Leo Roa, as created by "Metabarons" artist Juan Gimenez. 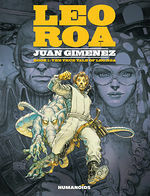 Leo Roa is an aspiring young journalist chasing the scoop of the century through a series of goofy galactic adventures. Angry alien pets, galactic terrorists, space-pirates, and plenty of curvaceous creatures abound along the way. 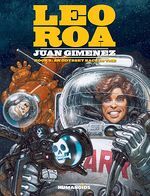 Written and illustrated by "Metabarons" artist Juan Gimenez, this satirical and humorous ride through the future (and the past!) delivers the graphic style and virtuosity you would expect from this master of the form. You can remove the word bubbles and still completely understand the story he is telling.